Not much is know about it yet, but the Set will retail for $200 USD in the second half of the year, and include a new villager mob. Given this anyone planning on getting it should really be making room for a Minecraft corner, because this set'll probably take up a lot of space. sounds like I won't spend a lot of money on 2016 D2C sets. good stuff since I still have the ferris wheel and temple of airjitzu to buy. A giant Creator bucket with bad part selection and no chance of discounting in the US. Woo. Do you own all the sets in this theme? Have ever you set them up all together? It intrigues me although it means yet another theme to spend money on. Yes, I do have them all, as well as additional bricks. I have only had time to do a basic setup for now, but plan to create something more unique soon, as I have been adding more basic terrain bricks and plates to my collection. Thanks @JudgeChuck look forward to you new rendition. I think that my next real effort will be after the 2016 sets are released, as I need a lot of time and space (commandeer the dining room table) to do this properly! I am very much looking forward to all the 2016 sets, but especially The Fortress and The Village. Well, aside from 2 Elves sets I have no interest in the Mach lineup, so I think I'll take that time to prepare a table dedicated to the theme, taking the sets I have, throwing in the new sets plus holdovers I don't have, in preperation for this set. I may need to give away a good chunk of my sets, but I think it would turn out looking epic. So this has to be the most underwhelming D2C rumor ever right? I can't recall a solid rumor ever being met with such indifference before. Just a handful of comments and this thread just died out. Makes me wonder how this will be received when it releases. Best I can figure is they are counting on deep-pocket parents buying it as Christmas gifts? With apologies to @JudgeChuck it seems there isn't much Minecraft appreciation in the adult community. ^to be fair, I love the minifigs and the animals but the buy in price and lack of particularly inspiring builds/bricks puts me off. They are accurate to the game I guess but as it's not something that I play even that isn't particularly exciting. Yeah the build is where I get lost with the concept of a Minecraft D2C. I love the D2C sets for the complex and interesting building techniques. Just don't see there being any of that happening when most of the bricks are 2xXs modeling fairly basic geometric shapes. I seriously considered doing a large layout for displaying at shows etc later in the year, but I can't get the animal heads cheap enough to make it worth getting the amount I'd need for such a large display, so I scrapped the idea. I fully accept that the Minecraft sets are not great favourites of the AFOL community, hence the lack of discussion and general "meh" response that they receive and that's fine. I agree that they're not great from a building-technique perspective, but that's not the point. What they are great for is building great scenes, based on the Minecraft theme and I love them for that. I like how they look. I get my building-technique kicks from Modulars and other more complex sets. I keep going back to a simple point though: They must be selling well for TLG to continue to produce them and to now produce a D2C, so people are enjoying them, which is the whole point. There are plenty of other D2Cs being released this year that will be of more interest to AFOLs, so enjoy those and let those who will enjoy this one do so, without it being complained about. They are indeed selling well. Very well. Sounds like a waste of a D2C slot to me. Saves me money anyway. It's a waste of a D2C slot *in your opinion*. I, and some others, beg to disagree. I will say this about the set. Either this thing is going to be absolutely massive in size due it being made out of basic bricks (in order to justify the price, of course,) or there's something truly unique about this set that may just blow us away. For all we know, all of the pieces might be printed with the pixel designs on the side, which, although I don't very much care for, will make those that love Minecraft (as well as the sets) clamor for it. 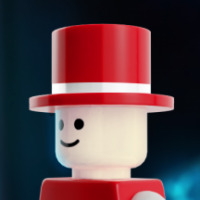 The minifig mob count would also need to be extremely generous for me to even remotely consider it. I actually hope that they bricks *don't* have the pixel designs printed, as it wouldn't fit in with any of the other sets. As for mobs, we need a nice range of villagers, chickens, rabbits and perhaps another horse (to go with the one in The Fortress). There's no need for an Iron Golem, of course. As I said before, I'd prefer not to have too many (any) skeletons, zombies, creepers, Steves or Alexes, as we already have loads of those from the other sets, but realistically, there are likely to be some. I'm definitely on board a D2C Minecraft set. My 10 year old would love it. 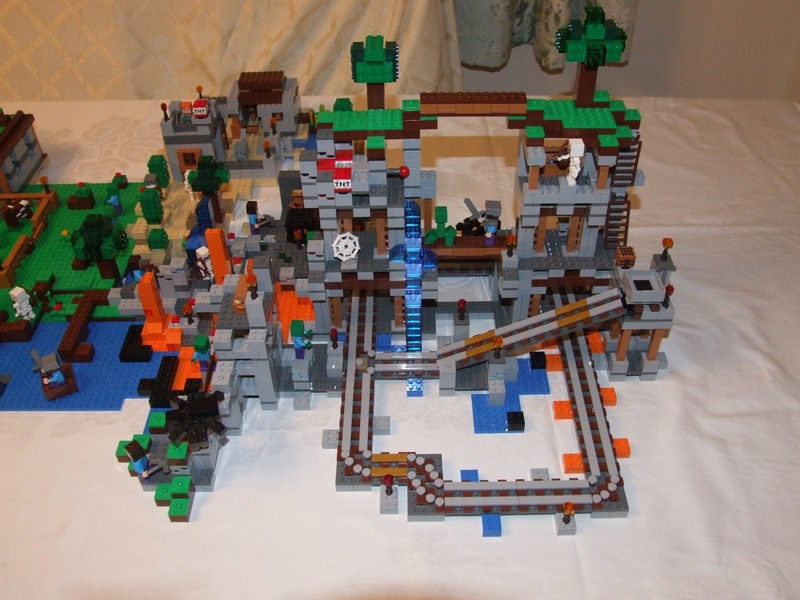 He and his friends already spend a lot of time building different Minecraft MOC's using the sets and freebuild LEGO we have at our house, this would just add to what they could build. Can't wait to see what it looks like. I find the other forum creepy with those Fabuland figures in the banner. Ooof. "According to The NPD Group, LEGO Star Wars™, LEGO City, LEGO Friends, LEGO Super Heroes and LEGO Minecraft ranked among the top five LEGO properties of the year in the U.S. market". Sniping? No one is sniping. 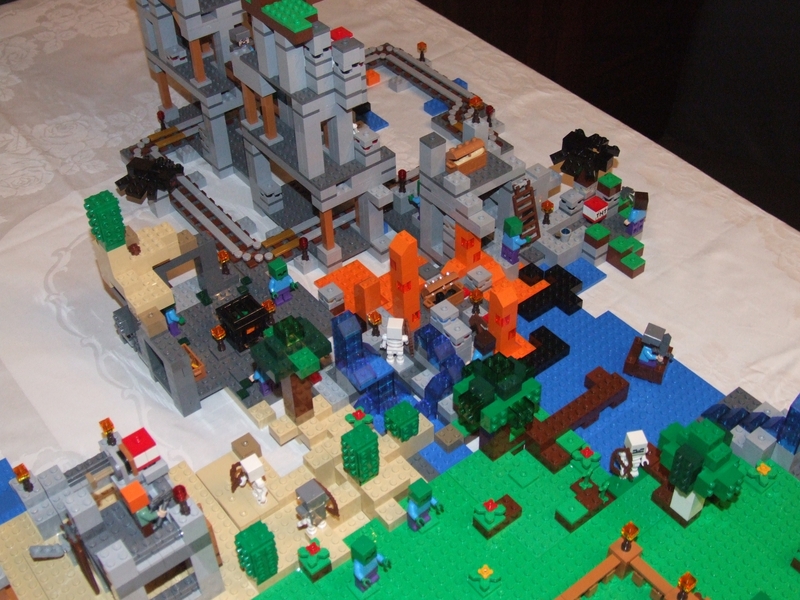 I have no problem with Lego Minecraft. It isn't my thing but I am happy for Lego to make successful lines I am not interested in. I have also benefited from the numerous nougat colored bricks now in production. I just find the notion of a D2C Minecraft set to be a strange one as those are typically advanced builds and Minecraft is by its very nature, not. It will be interesting to see what it ends up looking like. If anything, my disappointment is that if it does contain a bunch of nice parts and colors it won't be allowed for discount which will probably keep me from benefiting either directly or by causing bricklink prices to be higher in the US. I mean, sure it's cool as it's as accurate as it will get, but its $200! There's only 1600 pieces (exactly) in the set. I know that this there is "license tax" to consider here, but this is ridiculous. Now I know that there will be some parents who will fork over this kind of cash, either now, or for their child's birthday or Christmas, but outside of these willing parents, and adult Minecraft fans (who are a seriously small minority), how in the world does Lego expect this thing to sell? I mean it's a part of one of Lego's most profitable themes, if their results for 2015 were anything to go by, but how far will that go? There's a good chance that a majority of those sales were on smaller sets kids could afford on their own. if i was in to mindcraft lego then this would be a must buy. it is however priced right ware i was expecting it to be. only with about 50 or so less parts. as i was expecting to see about 1650.
i do see this selling a Hell of a lot better then batcave and the Hoth set. but not as well a GBHQ. we will see what my interest are at the start of 2017. who knows. maybe the mindcraft theme will have grown on me. or maybe i will be buying Mindcraft from lack of other stuff to buy. who knows. i dont hate the mindcraft theme. but i not in love with it. it one of them themes. if some one give me a minecraft set, as a gift. i would be happy with it. i would build it and display it. unlike if some one was to give me a Pirates theme set. unless it was a boat. it would go right in to my spare parts box. merge threads with what thread? this is the only one about this set? at first glance I thought it was the new MMV. but it's lacking some of the finer details. still a pretty nice view. the inside of the house is disappointing. I do have some pics, but I've not yet had the time to do the theme proper justice. 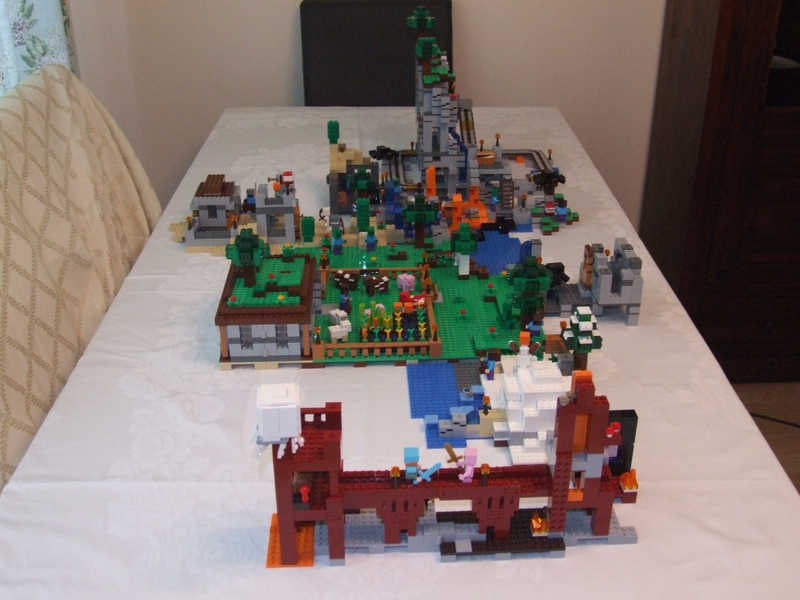 I am planning to do a massive Minecraft build, when I have both The Fortress and The Village. In the meantime, I'll post some more pics tonight of my previous build, which is missing all the new sets (The Iron Golem, The Wither, The Jungle TreeHouse and The End Portal). I'm going to have to hit BL for a ton more LBG bricks and extra plates, for landscaping! 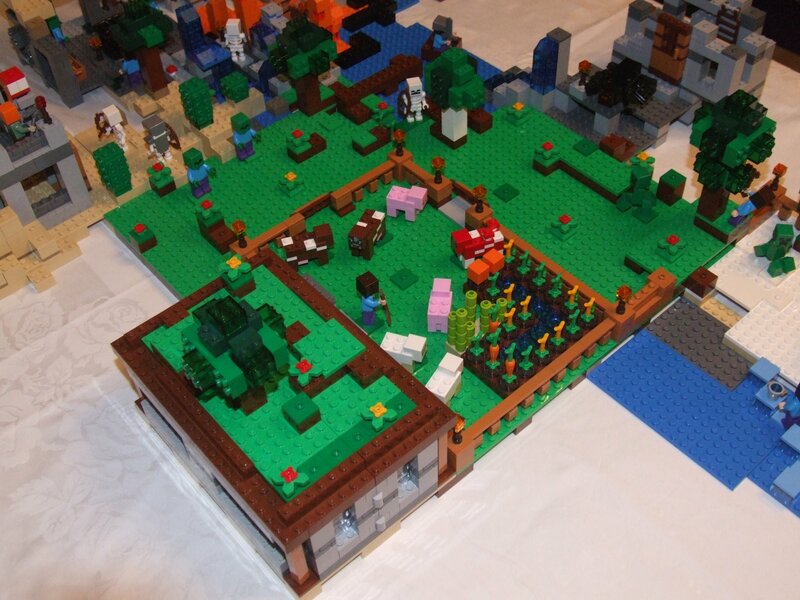 The 'LEGO Minecraft' theme in general is a rather mixed theme in my opinion. It's pretty much identical to LEGO in the way it encourages creativity by building creations which you'd think fits well with LEGO. However that has actually makes it the weakest aspect of the whole theme as it doesn't contain anything too exciting and comprised of a ton of standard bricks and plates. Certain aspects of the concept are well executed however it still looks like a regular Minecraft set designed much like an exclusive Super-Pack which is made up of several smaller sets. 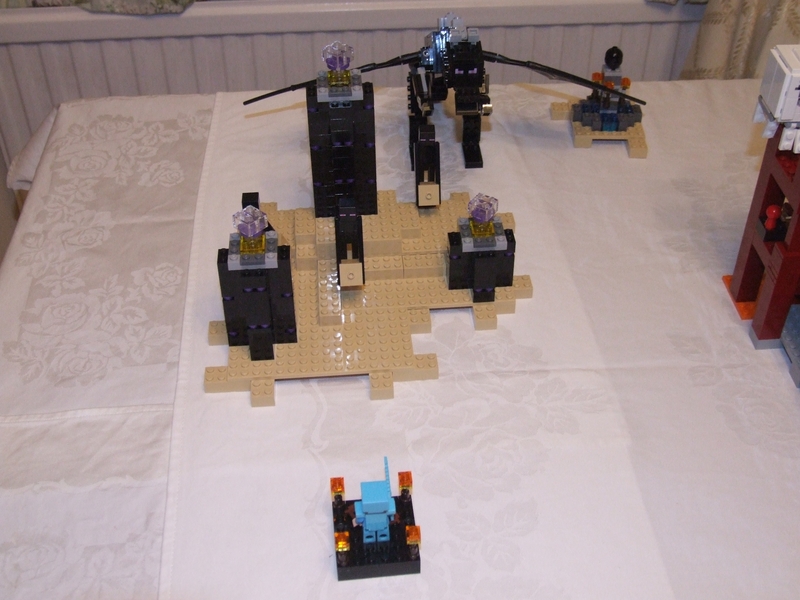 In my eyes this model didn't deserve it nor did this theme require it considering the whole concept and idea of the 'LEGO Minecraft' theme revolves around customisation, rebuilding and expansion. The fact it doesn't contain anything eye catching that you would be worth purchasing. It’s a huge downside to this product and makes it the weakest ‘Direct To Consumer (D2C)’ product in recent years purely based on the visual language and execution. The difference between a retail set against a D2C set is the vast amount of detail; oddly enough the larger elements of D2C sets always get the most attention to detail however this is shows a complete opposite with the smaller elements being the main highlights of the set. Both village huts look extremely dull; those should have been the spotlight of the set given that the set is called 'The Village' they could have taken a much more advanced approach by increasing the details and building techniques; instead they kept it the same for majority of the model that the retail 'LEGO Minecraft' sets already contain. People are going to find it very hard to purchase this set for the model; it just doesn’t scream attention the way other D2C products do. It contains nothing new and exciting that is worth spending its RRP for; I’m not complaining about the RRP its execution that is not worth spending the RRP. I’d prefer a single much detailed village; both exterior and interior rather than having two identical ones which don’t add visual interest. Additionally they could have improved the watch tower and pretty much kept majority if what they already included in the set the same. Additionally the prices of recent D2C products have been £150+ besides Modular Buildings, Large Scale Vehicles and the Winter Village sets which have had a much better reception over these much larger products simply due to the value for money at a very lower price; it shows as each of those concepts have proven to be extremely successful among a large number of LEGO fans and children alike. LEGO need take a step back with the D2C sets, they initially were targeted towards adults; models that they would want to display not play sets and expressed you could do much more than with the LEGO elements. Additionally I don’t see parent’s paying for this product over the vast amount of other products. This is my purely opinion and you’re entitled to your own, I understand LEGO is a business to sell products to consumers and if they feel they are doing the right thing who am I to tell them what to do. The sales will inform them how successful they are and aren’t. Purchasing a product lets them know what is successful and what isn’t. I don't think that is right. They were always targeted towards the people that were willing to pay for more substantial sets at the corresponding higher price ranges. Isn't that the whole point of a D2C set? 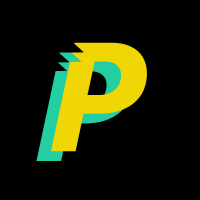 To provide something unlike other retail offerings, that is not likely to sell that well in regular retail stores but to have it available to those wanting to buy something at the higher price range. Now people can argue here that this one may be too close to the existing sets, just bigger (like Hoth). 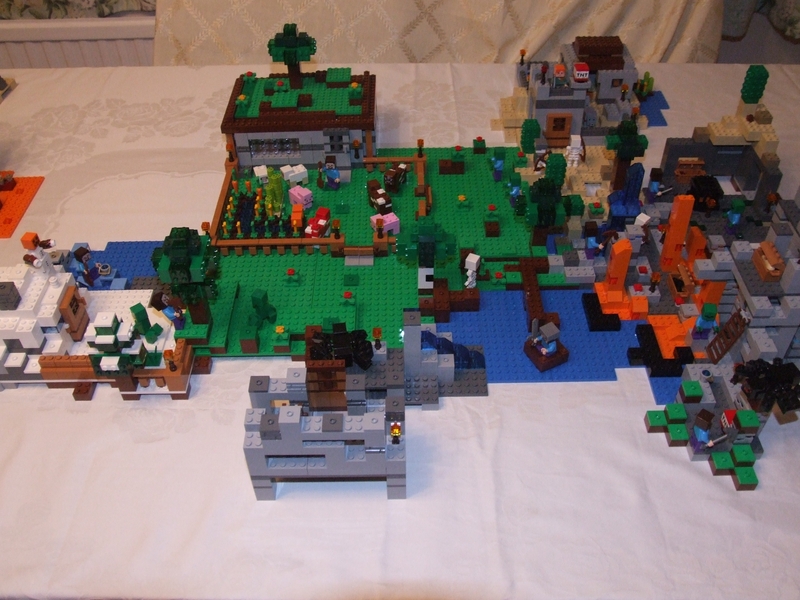 However, I don't see how (or why) they can make a Minecraft set appeal to adults without making it deviate significantly form what else was on offer in the series. And if they do that, it loses its appeal. It makes perfect sense for them to bring out a D2C set for one of their most successful licensed themes and aim it at the same place as the regular retail sets: kids. - Not every set will be to every consumer's taste. Beauty is in the eye of the beholder. - We do not know exactly what Lego's definition of a D2C is, in terms of subject matter, price, piece count, mission statement etc. 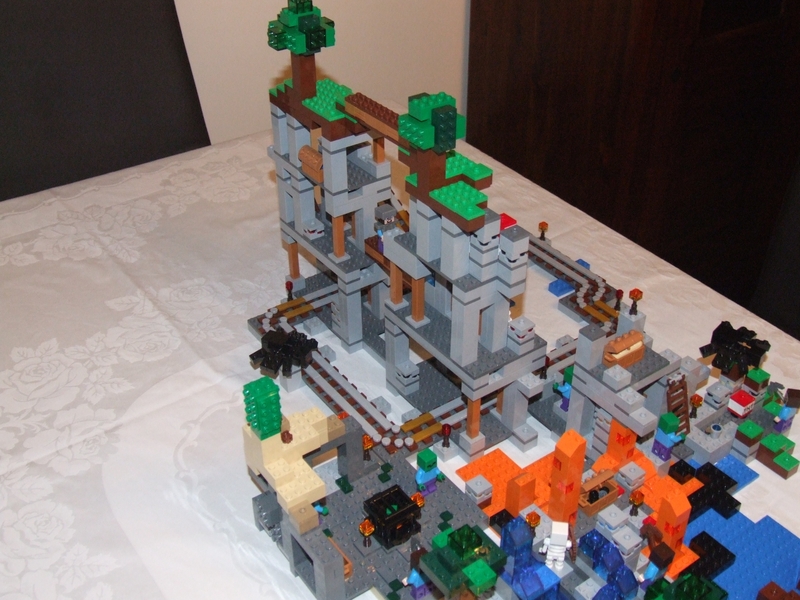 - Minecraft is a very different style to other Lego themes. 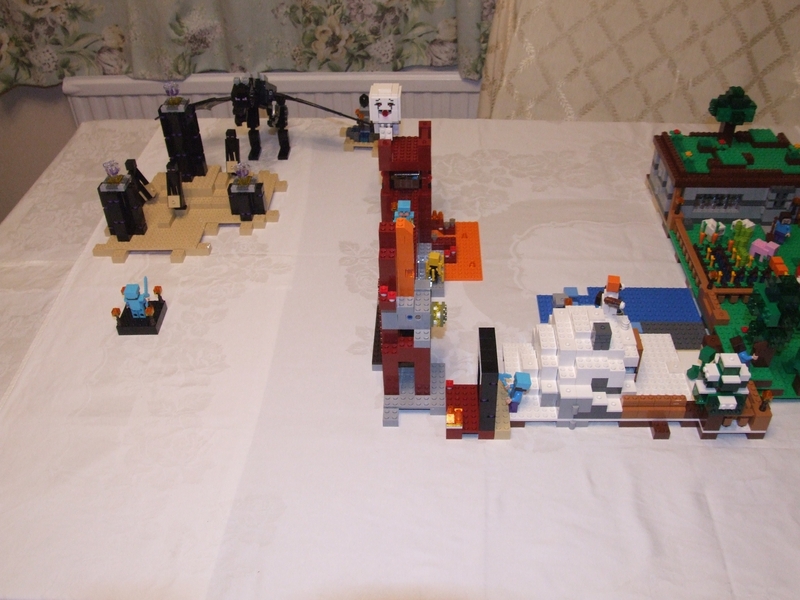 - We do not have access to Lego Minecraft sales figures, customer feedback and market research. - Some adults like playsets. - Some parents will pay for this product. ^^You both bring up fair points. I took that statement little harsh, they should be able to provide many different experiences for these D2C that retail sets wouldn't and can't due to the many constraints involved for the regular sets. I expected a little more detail and a slightly different visual language that fits with the existing theme whilst being a flagship piece from the entire line much like other themes. 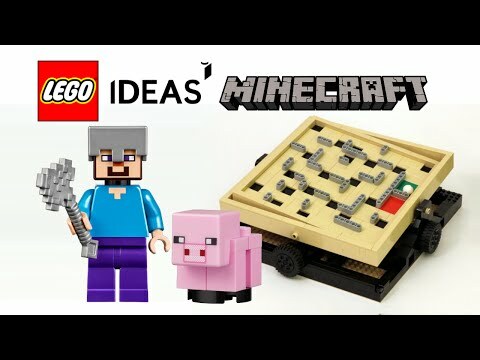 As mentioned above the Minecraft theme is quite different and unique unlike many other LEGO themes so that may not have been possible without being a departure from the current line which may be a miss for it's large fan base. I shouldn't jump to assumptions nor do we have information on the consumer feedback and sales. 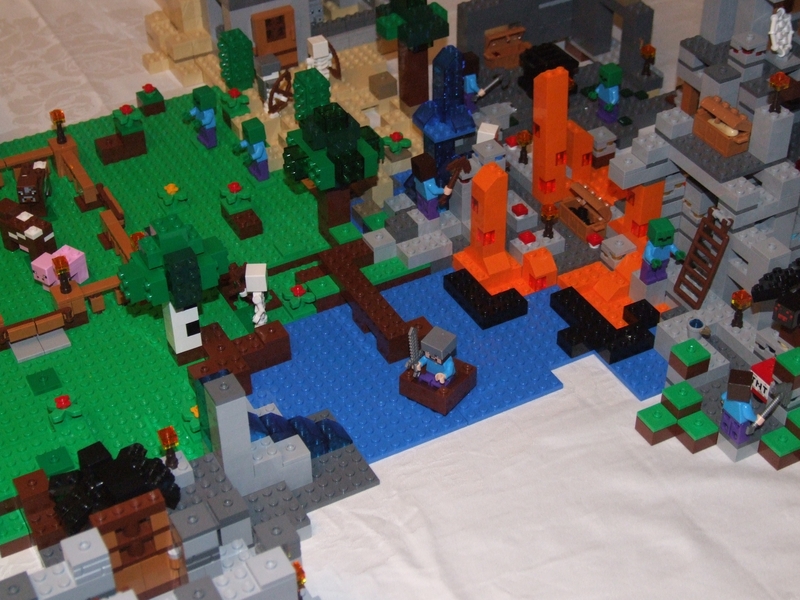 However the fact that the theme essentially started with a single set which spun into those three other Micro Worlds and several Minifigure-Scale waves with the addition of this upcoming D2C for Minecraft set; it's clear that there is a huge number of admirers and fans of the 'LEGO Minecraft' theme. At the end of the day not every product wiIl appeal to every individual; in this case that will be me. Well, LEGO's definition of a D2C set is something they design to sell directly to consumers via LEGO.com and LEGO brand retail, rather than something they design for other retailers to sell. Hence "direct to consumer". Even though the AFOL community generally only uses "D2C" in the context of these big exclusives, promotional gift-with-purchase polybags from the LEGO shop like the classic Mr. Freeze are also considered "D2C". So it's not defined by building level or target demographic or anything like that. We don't know specific LEGO Minecraft sales figures, but we do know that according to NPD Tracking Service data (which covers around 80% of the U.S. toy retail market), it was one of the top five best-selling LEGO themes in the United States last year (source). So I think it's fair to say the theme has a large audience. Understandably so, since Minecraft is a wildly popular game with kids and adults alike. We don't know specific LEGO Minecraft sales figures, but we do know that according to NPD Tracking Service data (which covers around 80% of the U.S. toy retail market), it was one of the top five best-selling LEGO themes in the United States last year (source). ^^ it doesn't even list any minecraft! You missed the key phrase—it was one of the top five themes "in the United States". The worldwide statistics about best-selling themes and sets from the annual report may be different but that doesn't disprove the popularity of the theme in that one specific market. As a side note, I read an article yesterday claiming that 10,000 copies of the actual Minecraft game are sold PER DAY, and that the average age of players is 28–29 years old. Those statistics make the popularity of the theme and the potential marketability of a huge D2C set make a bit more sense. @Aanchir 's results are US only, whereas @tecjam 's results are worldwide. Although I will agree that playsets can be marketed towards adults, this set is at a price point that only adults can afford. I think that if this set was just $20 cheaper, it would appear as a better value. I mean most modular buildings never break the $160 tag yet have almost 500 more pieces than this new set! I didn't miss the key phrase, I saw it loud and clear. But considering the US is roughly just as big as europe and asia is know for being a massive gaming continent, I would have thought it would be mentioned. As for the average age of a minecraft gamer being 28-29 ... hahahaha! I also never give my actual date of birth in any form, so I would not believe that in the slightest. Just to re-iterate: I know the game is played by a lot of people, but the majority I think will be under the age of 18. I also believe there is a large market for the sets, just more likely in the under-age age group. But then most kids, especially those that play with new lego sets, have adults that look after them or at least buy them stuff so they don't feel guilty about not looking after them. ^look up gamer demographics. Most studies have the average gamer age in the mid-thirties. If anything, that number about Minecraft shows it skews lower than other games for age range. I don't have any hard data to back this up, but anecdotal evidence indicates programmers as a species tend to be drawn to Minecraft, so it may have pockets of appeal to adults who fall into that category.